Anno 2070 belongs to the Anno series of video games and is published by Ubisoft. The series has a large number of games which have slowly evolved over time. The gameplay has a strategic emphasis and has similarities to popular real time strategy games such as Age of Empires but also incorporates many city building elements present in city building games. Anno 2070 offers a great single player campaign, an endless game mode and multiplayer for players to experience. 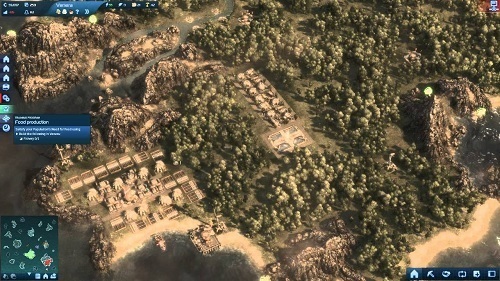 Anno 2070 is set in the year 2070 and takes place after global warming has raised sea levels to a point where inhabitable land is severely limited. Players are thrown into the game world where three different factions are present and working together to rebuild mankind (each with their own philosophy, story, strengths and weaknesses). The factions in Anno 2070 are the Eden Initiative (environmental focus), Global Trust (industrial faction) and S.A.A.T (technology focused). 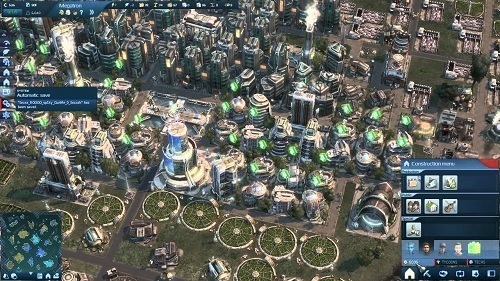 Anno 2070 presents players with plenty of challenges to overcome with the gameplay focusing on three important aspects of a civilisation (resources, trade and diplomacy). Players must master all three of these elements if they are to ensure the survival of the human race in this new era. Gameplay will have players shaping the society of the future by colonising the few available islands and turning them into mega cities with the limited resources available. Focus on real time strategy with a hint of city building. Play the story driven campaign or play ‘endless’ mode. Multiplayer and online game modes available. Complex end game for strategy fans. Anno is a long lasting series so if you enjoy Anno 2070 you can try other games in the series.